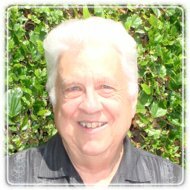 Newport Beach Therapist: Anthony Fiore - Therapist 92660. Send A Message To Dr. Fiore. Session Fees: See my website for fee information and financial policies. After graduating from Purdue University in 1972, he has been active in both community mental health, the private practice of psychology, and teaching, coaching and writing for over 35 years. He has completed numerous certificate programs including Human Sexuality at UCLA, Personal Coaching at the Life Coaching Institute, and Anger Management at the Anderson and Anderson program. To add to his experience and training in conflict resolution and marital therapy, he has also received advanced training in Marital Therapy at the Gottman Institute in Seattle, Washington and he is a certified group leader in the Keeping Love Alive Program by Michele Weiner-Davis.